Whether you’re traveling with family, traveling for business or traveling alone, Aptel Studio Hotel is ready to meet your each and every need during your visit to Anchorage. Every room in our extended stay hotel features a kitchenette with all the kitchen basics, and guests have a choice between a single or double queen room. Additionally, each room comes with high-speed internet, air conditioning, cable TV, self-controlled room temperature and weekly housekeeping service. We also provide onsite laundry and a vending area. Conveniently located near Alaska Regional Hospital, as well as a short drive from the Alaska Native Medical Center and Providence Alaska Medical Center, Aptel offers a comfortable option to those traveling for medical procedures, as well as caretakers, friends and family supporting patients. With the freedom to dine at any of Anchorage’s incredible restaurants, or to grab some fresh ingredients and cook up a meal on your own, this Anchorage lodging option is truly the best of both worlds. Our hotel staff members are local and are always more than happy to offer suggestions for dining, shopping, exploring and other activities. They’ll even assist with dinner reservations and booking tours or outings. Just one mile from downtown, Aptel is conveniently located near the heart of Anchorage, yet still far enough away to be an escape from the hustle and bustle of city life. 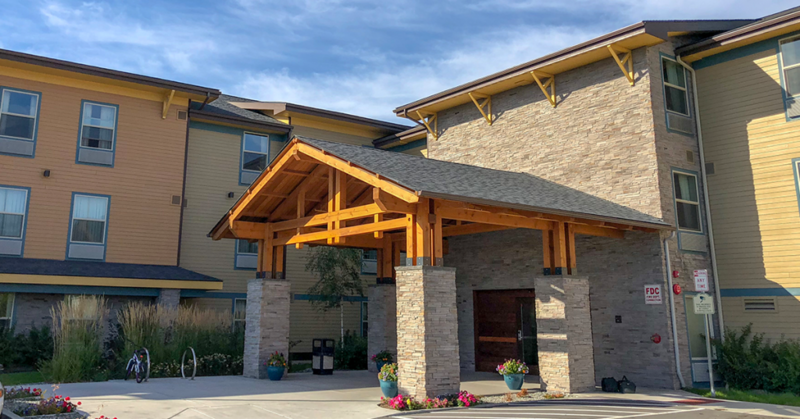 Whether you come to stay for the weekend, or a few months, we’ll be eager to share our Alaska hospitality and make sure your stay is easy, comfortable and enjoyable.